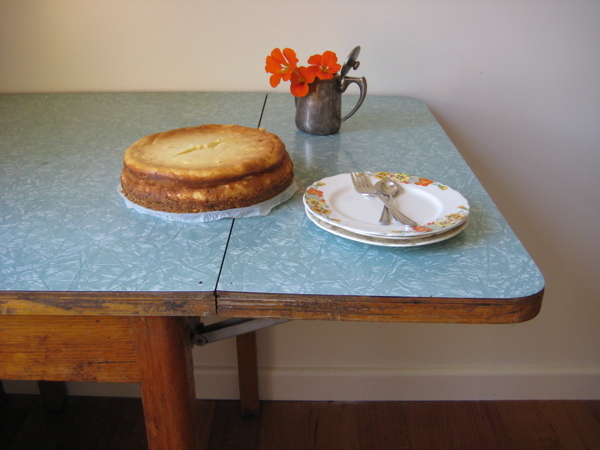 I think simple is best when it comes to cheesecake. Therefore, not much of an introduction needed, except to say I adapted it from here, avoided all the electrical equipment that makes me dread washing up, filled it with lemon rind and changed the base. Note, pull the cream cheese and sour cream out of the fridge a couple of hours early to help it soften. Preheat the oven to 160°C/320°F. Cream together the cream cheese, sour cream, and sugar. Add the eggs, vanilla essence and lemon rind and beat with a hand-mixer until smooth and creamy. Pour onto the base and bake for an hour or until set all the way through. Chill in the fridge et voilà. Parfaite!! Well except for the little crack. But thats a sure way to tell its homemade. I can’t help imagining what it might taste like with rosemary, or maybe lavender (not so simple after all)… does that make me strange? 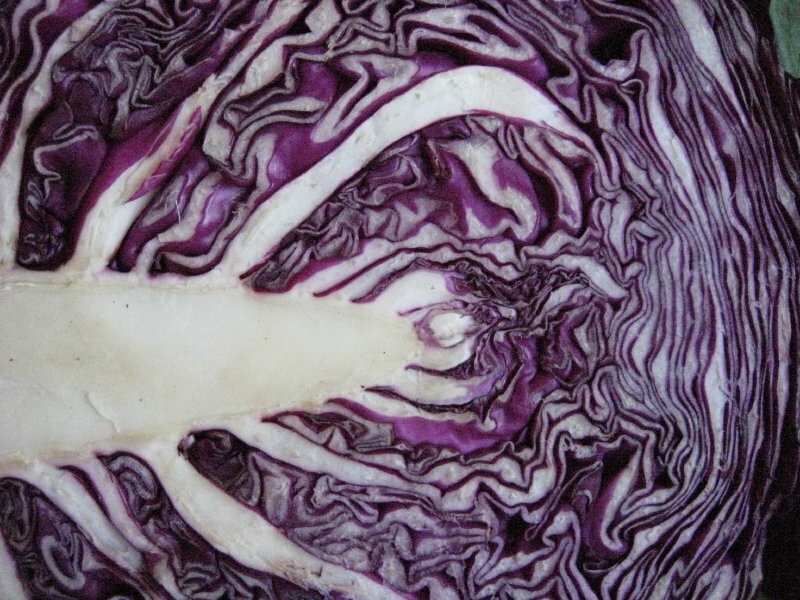 The fermentation of cabbage is a very ancient chinese tradition that is believed to have come to Europe with the nomadic Tartars. So whilst we usually associate Sauerkraut with Germany, it is really only the name that bares its origin there. The French on the other hand call it ‘choukrout’. Interestingly the fermentation of sauerkraut takes place with 3 different microorganisms in different successional stages of the process determined by increasing acidity. However when making sauerkraut you don’t have to worry about this, the microorganisms will take care of themselves wonderfully. What you will have to do is very very simple. I find it so satisfying and a little bit magical harnessing the bacteria from the air to transform food. 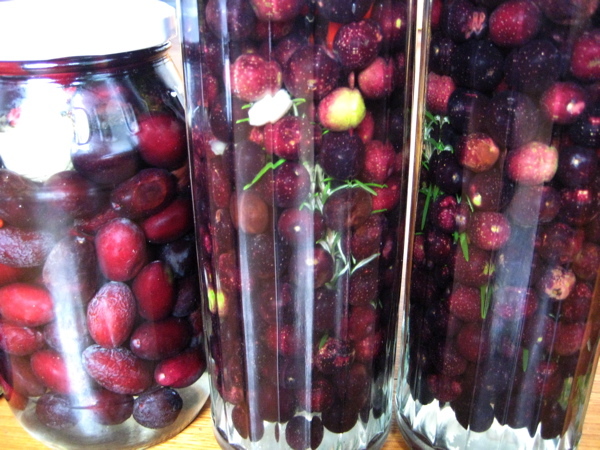 As you will probably come to know, fermentation is one of my most favourite things. On this matter, sauerkraut is a very good place to start, as it is really very very easy. This recipe comes from Sally Fallon’s book Nourishing Traditions. 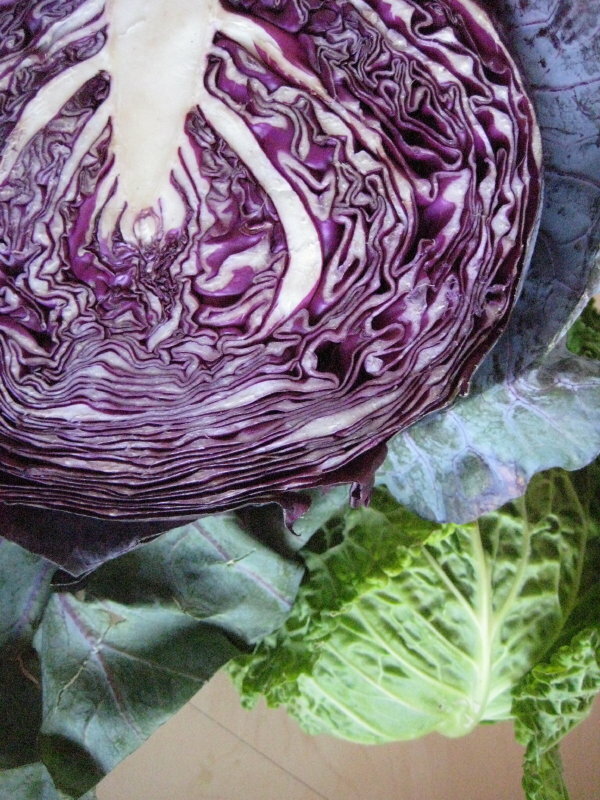 Shred the cabbage and combine in a bowl with the salt and whey. Pound with a wooden pounder, or anything similar you can get your hands on. I usually use a metal potato masher. Keep this up for about ten minutes to release the juices. Place in a large wide mouthed and steralised glass jar. 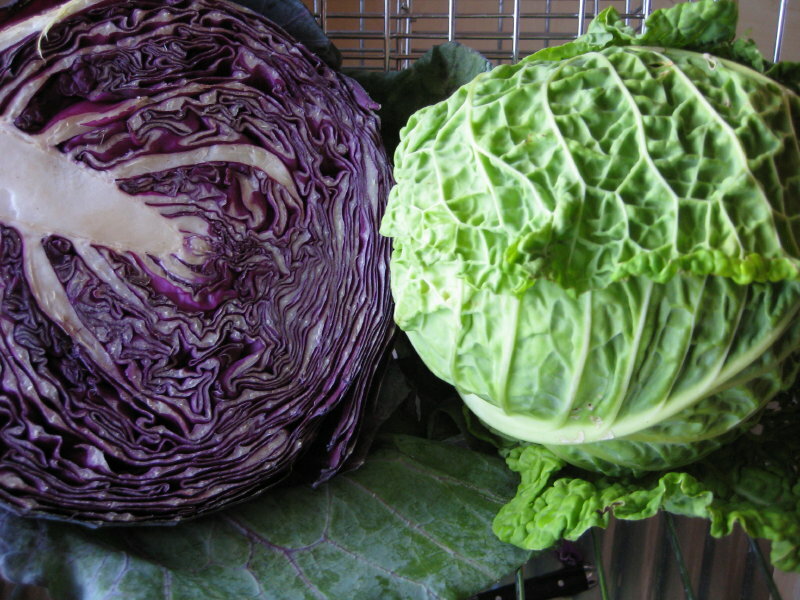 Press down firmly with pounder or potato masher until the juices rise above the cabbage. The top of the cabbage should be at least 1 inch bellow the jars mouth. 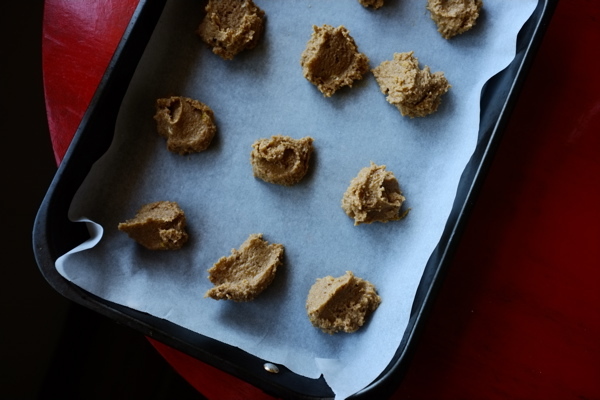 Cover tightly and leave at room temperature for approximately 3 days before transferring to the fridge. It is then ready to but will improve with age. We live in one of the old Greek and Italian neighbourhoods of Melbourne. One of those suburbs that every now and again sport concrete lawns dotted with olive and lemon trees. A very particular aesthetic that I myself am not particularly partial to but nevertheless, I appreciate the mini suburban farms even though embedded in a cement landscape of which I can only imagine is a good way of keeping out the weeds. I am lucky enough to enjoy the advice of an old greek man who sometimes happens by when I’m in the front yard. He leans over the fence, a subtle aroma of cigarettes, commenting on the progress of our orange tree and the vegies in the garden. I enjoy the aged and wisened advice, it is the stuff I cherish most. 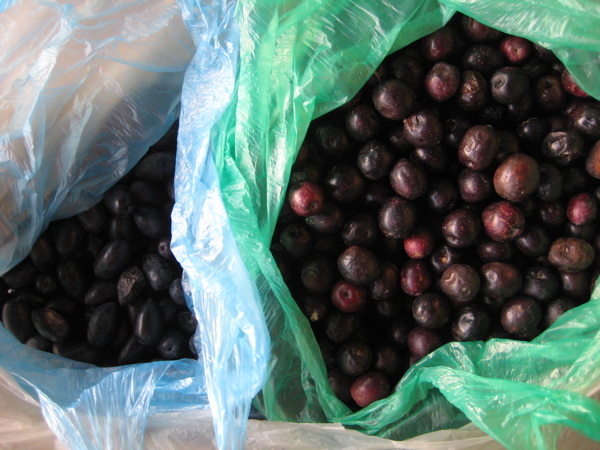 So it is at this time of year that trees are heavy with black fruit and the markets and grocers are brimming with plump and round olives. I have never pickled olives before, and from a little research, have learned there is more than one way of going about it. Jim Massoto gives a wonderful step by step set of instructions and advice which you can find here. 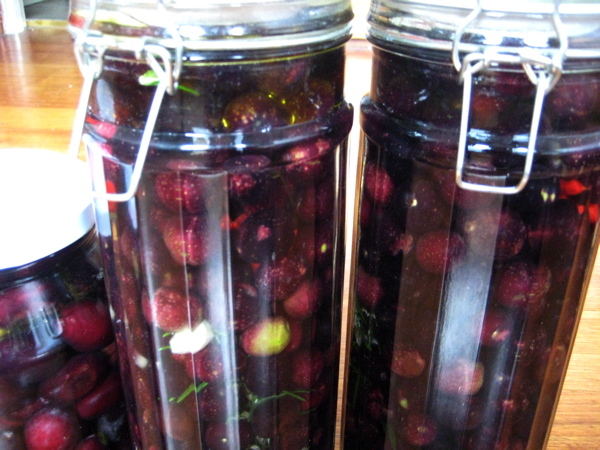 However his process takes 20 days in which you soak the olives in briny water that you change every day. We decided, to go for a rather simpler option that a friend let us in on after he was given the advice from an olive seller at Preston Markets. With this method you may end up with olives that are slightly more bitter, but after tasting our friends and considering this process was much nicer on the environment as less salt would be poured down the drains, we were convinced. Also, it’s no where near as much hassle. First, you want to make sure you pickle your olives when they are as fresh as you can get them as they are quick to spoil. Pick out any bruised or spoiled olives as they have an off flavour. Sterilize a bunch of big jars. Wash the olives thoroughly and place in the jars. Cover with briny water (100 g salt dissolved per 1 litre water). Then pour a layer of olive oil on the top of the water and seal tightly. 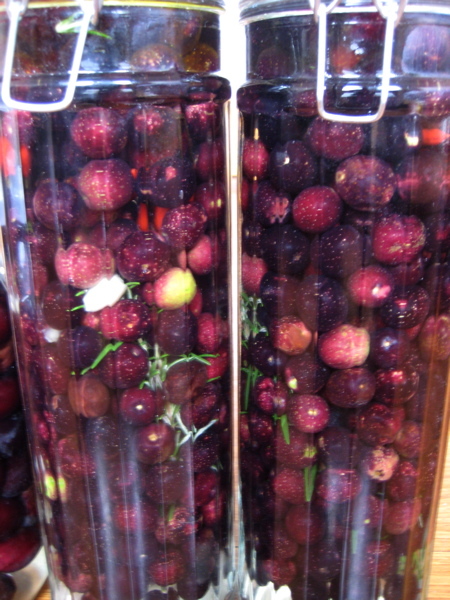 The fuller the better, as the less air inside the jar, the less likely they will contaminate. 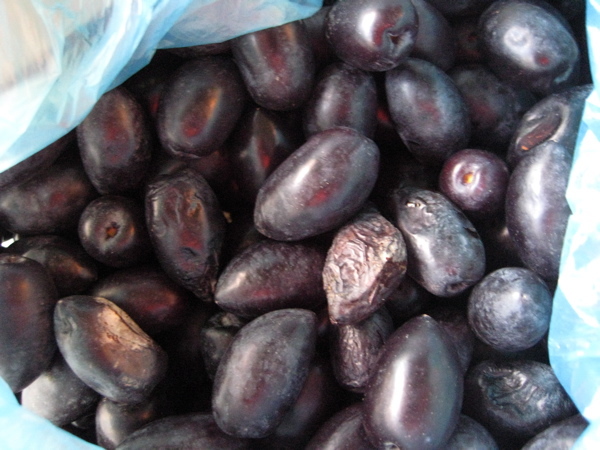 Leave in a dark cool place for about 3 – 4 months or until they develop a rich olive flavour. A layer of scum will develop at the top of the jar, however this is said to be helpful in taking away the bitterness of the olives. And we wait, fingers crossed. 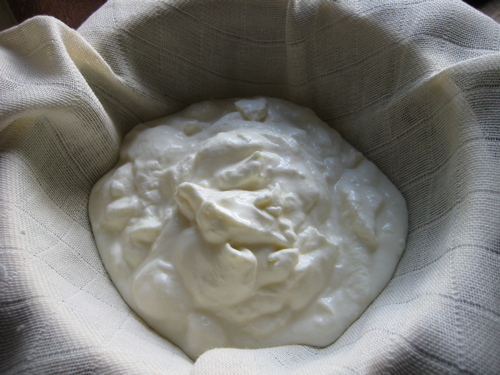 Traditionally eaten in Lebanon, Palestine, Syria and Jordan labna is a wonderful and easy way to make your own soft white cheese. 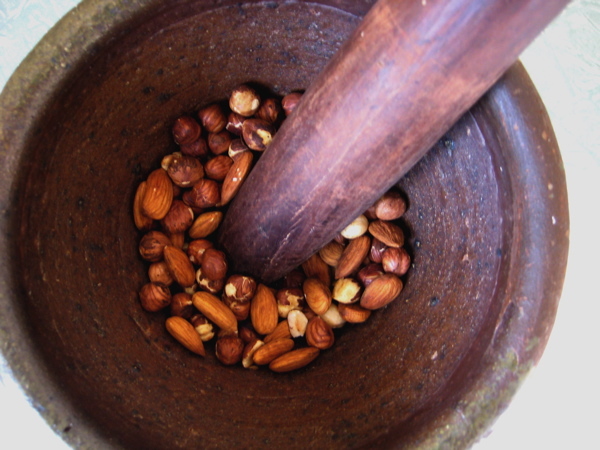 Labna is creamy and delicious and works equally well with savory or sweet things. For example, spread it on toast with honey or alternatively garlic, olive oil and tomato. Eat it with stewed fruit or next to curries and so on. To make Labna, you need to separate the whey from yoghurt. 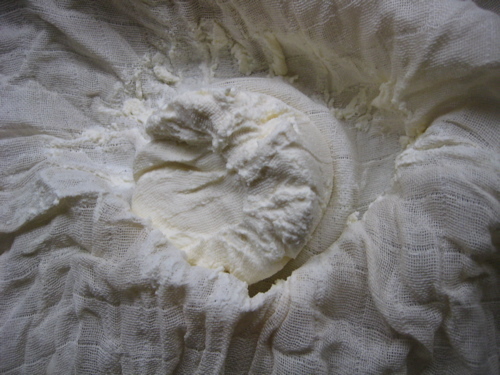 You are then left with a beautiful soft cheese and whey. Whey is incredibly nutritious. 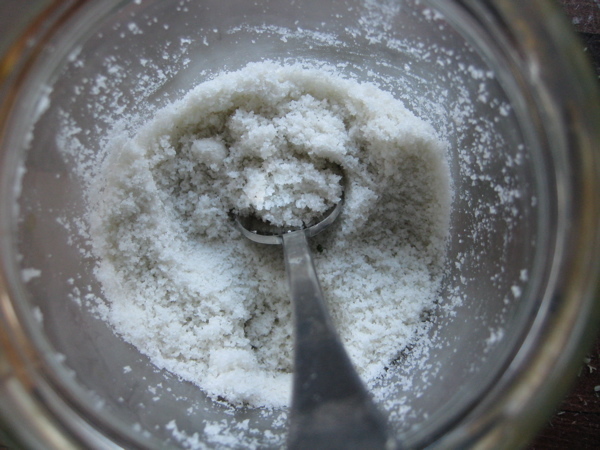 Sally Fallon notes in her book, Nourishing Traditions, that whey has been used to cure a variety of human ailments since the time of the ancient Greeks. It is full of minerals and one teaspoon taken in a glass of water is said to help digestion. It is also said to help keep your joints, muscles and ligaments young and movable. So to separate your whey from your yoghurt, you will need to place your yoghurt in a muslin cloth. 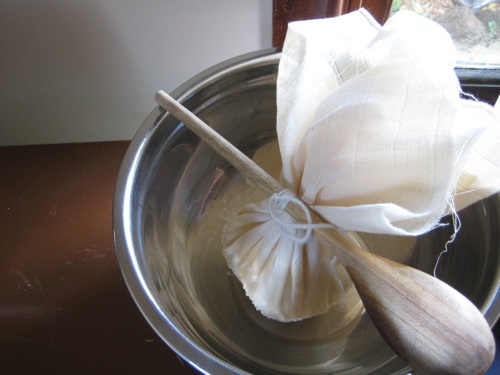 And suspend over a bowl either in a sieve or hanging from a wooden spoon and leave in a cool place for 24 hours. You should then be left with a good layer of whey in the bottom of your bowl and lovely soft white cheese. Store your whey in a glass jar in the fridge. To store your labna you can roll it into balls and cover with olive oil (obviously not if you want to use it for something sweet). Over our back fence there is an overgrown lane-way. The grass is knee-high littered with old televisions and garden clippings sneakily dropped out of neighbours lives. This place seems long forgotten. Certainly no one seems to go there. And I wouldn’t either, if it were not for the huge fig tree that hangs beyond one lucky neighbours back-yard, the branches reaching deep into the lane. 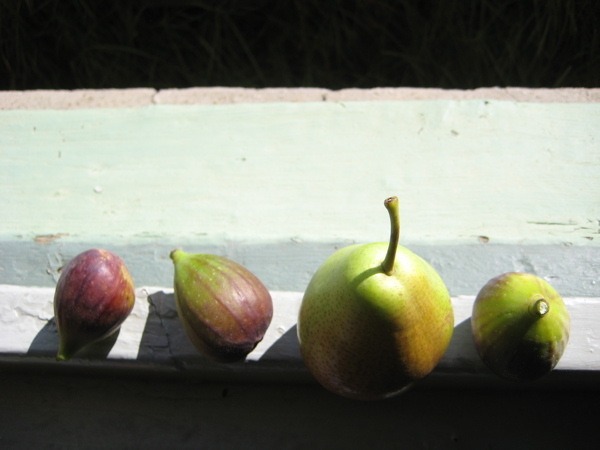 Once a week I have been jumping our fence, braving the long grass with the hidden electrical appliances and checking on the figs, waiting for them to turn soft and blushing purple. I’m glad I have been watching so closely, because all of a sudden they have hurriedly begun to ripen and split, the purple blush revealing delicious pink softly wrapped in white. My recent visits have had me returning with a wide sticky smile and pockets juicy and bulging. I have needed careful restraint in order for them to make it all the way to the kitchen with me. 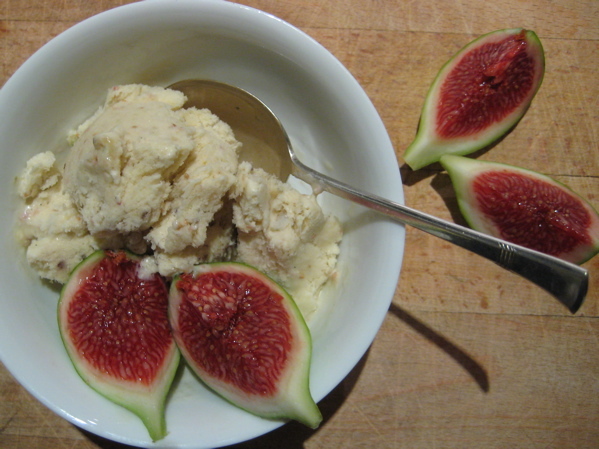 Luckily the idea of fig ice-cream has kept me determined to save a special few. Semi-freddo is a lovely way to get the idea of ice-cream without all the bother, fluster and equipment needed to produce it. Inspired by Jamie Oliver’s recipe in this book I have changed the quantities a bit, and adapted it to my own flavourings. It’s probably obvious, I am making fig and pear semi-freddo because I want to impress someone. What could be especially delightful for my sweetheart just back from 5 months in Africa. 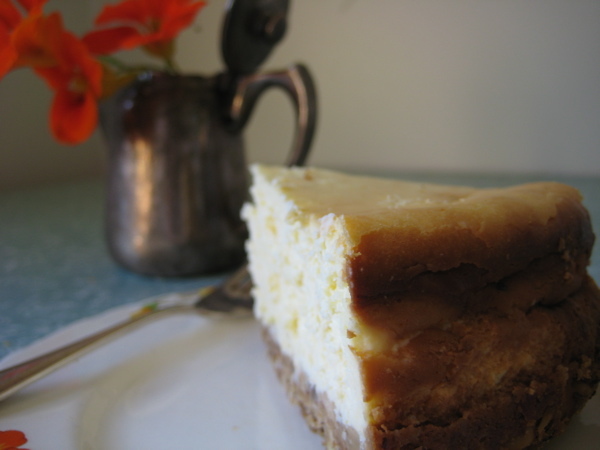 This recipe is both seductive and gentle with the comfort of pears and flirtation of figs. 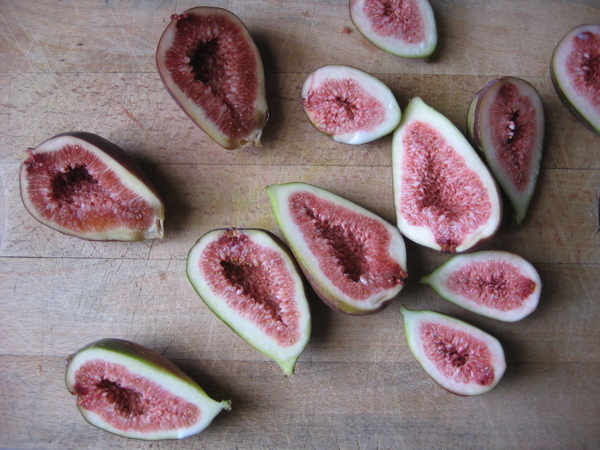 Remove the stalk from the fig and cut into quarters. 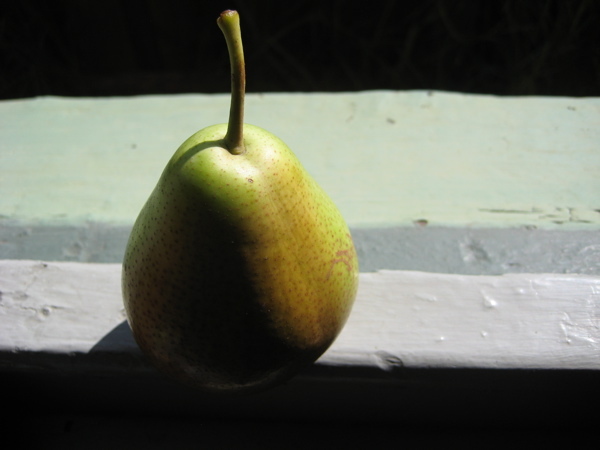 Remove the core from the pear and roughly chop. Place the fig, pear, lemon juice, cinnamon and sugar in a saucepan and stew until soft and caramelised. Allow to cool before pureeing. Whisk together the egg yolks and vanilla. 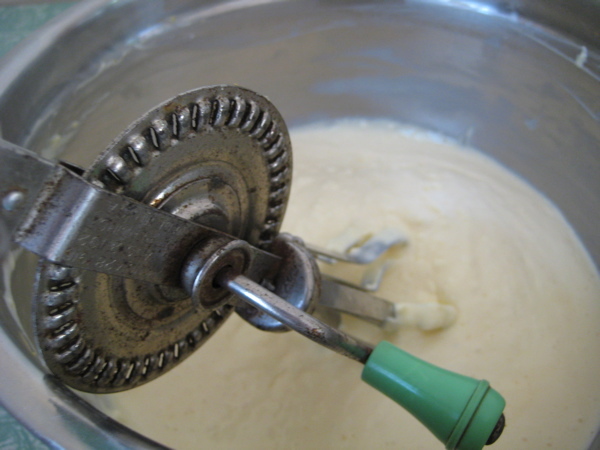 In a second bowl whisk the cream until soft peaks form. In a third bowl whisk the egg whites and salt until very firm peaks form. Gently fold all ingredients together. Transfer to an old ice cream container or tupperware and drizzle with honey before placing in the freezer for about 4 hours or until partially frozen. Otherwise, freeze for longer and place in the fridge for 20 minutes before serving. Semi-freddo is Italian and literally translates to semi-frozen. Serve in a bowl with fresh figs or a drizzle of honey. 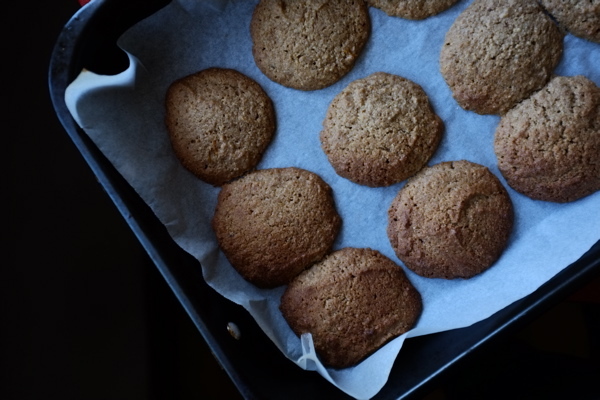 You are currently browsing entries tagged with homemade at the invisible cookbook.